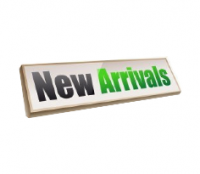 "New arrivals" add-on adds a category "New arrivals" in your CS-Cart online store. The newest available products are added automatically to this category. It is a convenient way to keep the customers up-to-date and give more visibility to the newest products. label "new" next to the image of a new product in a product grid. The add-on is compatible with CS-Cart Professional 2.2.4. The add-on is also available for CS-Cart Professional 3.0.x. The New Arrivals add-on compatible with CS-Cart 4 is here. that is why the add-on can be incompatible with other add-ons which use the same hooks. 2. We offer free installation of this add-on for the default CS-Cart versions (that don't have any file changes and additional modules). Otherwise, the installation may require an additional charge. 3. After the payment is confirmed, you will be able to download the add-on from the order details page. Days - type in the number of days during which products are considered to be new. For example, if products are considered to be new during 4 days after the date of a product creation, type in 4 in this field. 1. After the add-on installation a category "New arrivals" is automatically created. (Products -> Categories -> New arrivals). 2. 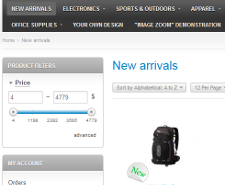 Click "New arrivals" category in the admin panel and go to the "Add-ons" tab. Here you can see the "Update New arrivals" button. Click this button to update the category automatically. Products that expired to be new will be removed from the category and fresh added products will be included. How to replace a default label image with my own image? And replace the file newest.png with your own newest.png file. How to change the position of the label? Is it possible to set up a cron job for the automatic category update? Yes, it is possible. Cron job script is located in [CS-Cart dir root]/newest.php file. Ask your system administrator to set up a cron job on your server or we can do it for you. We will need a temporal access to your Cpanel. 1. Download the archive with the Category "New arrivals" add-on. 3. 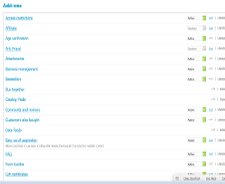 Log into the administration panel of your store, go to the Administration -> Add-ons page. 4. In the list of add-ons find the Category "New arrivals" add-on and click Install opposite to its name. 5. That's all, the add-on is installed. Choose Active status. "Dear Don, we are disappointed to hear about this problem. Please contact us via HelpDesk system with a temporary ftp access, we'll fix the issue." "I installed it it works fine but the new category doesnt have a name it just created a category with no name. when i type a name and hit save, it says empty. any help on this?"